For two days in June 2014, Time's Up and FoAM took part in an experimental scenario planning exercise. Building upon techniques from strategic foresight, lucid dreaming and improvisational theatre, Maja Kuzmanovic led the group through a process of developing a world. A world that was strangely like ours, yet filled with dreamy metaphors of rolling photocopiers and shape-shifting beings, an eternal twilight and a search for green plants. The landscape being the borderline between the land and the sea, convoluted and intertwined, we called the scenario the Lucid Peninsula and looked at ways of taking it further. The Lucid Peninsula is an imaginary space, just around to metaphorical corners, expressing many of the doubts, hopes, fears and possibilities that the near future might offer us. The implementation of the scenario involves Time's Up and FoAM as well as M-ITI, looking at ways of building glimpses into the generated world. Time's Up is developing a temporary sleeping and resting space, a hotel room for a secluded hideaway, as an explorable physical narrative to invite the visitor to explore the atmosphere of this future scenario. M-ITI are developing a context aware explorable narrative game, allowing players to interact with the dreamscapes of these future protagonists as they dream of what we call our reality. FoAM created Lucid Elucidations, a set of instruction cards that extend the Lucid Peninsula in unexpected directions. The cards are based on processes, ideas and dreams that emerged in the development of the physical narrative. They contain instructions or suggestions designed to be used in a range of settings - from sidewalks and parks to kitchens or bedrooms. 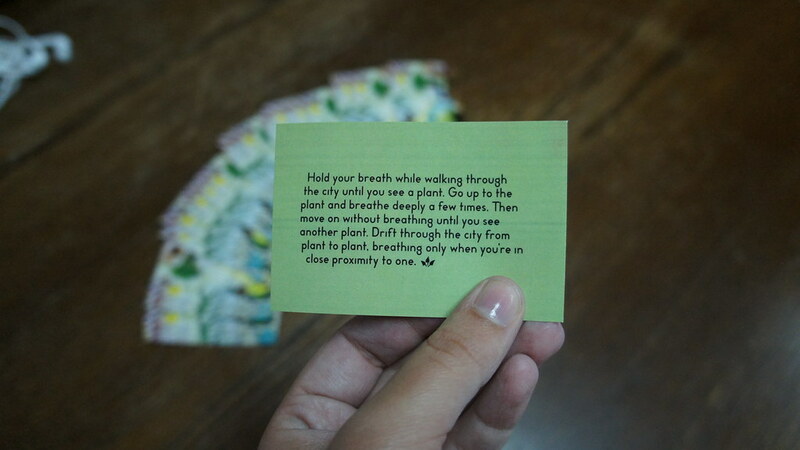 The cards enable the players to re-create different aspects of the story, the creative process or the experience of lucid dreaming beyond the walls of the exhibition. 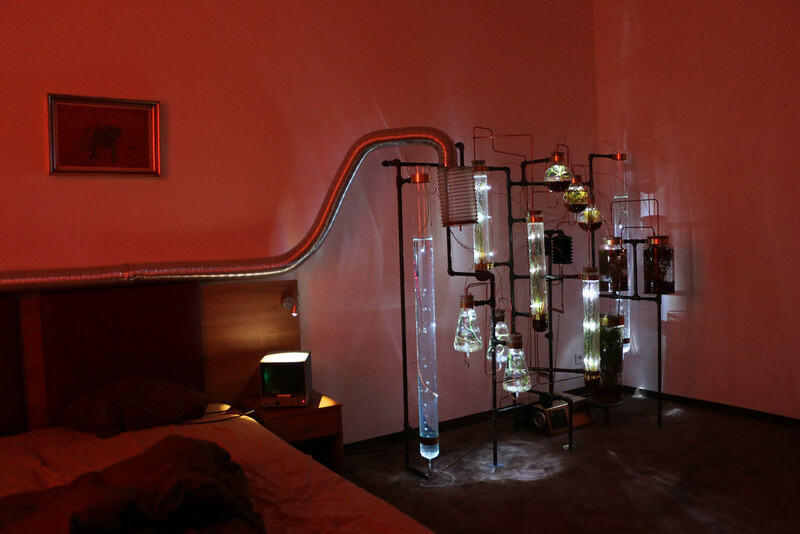 All three aspects of the Lucid Peninsula come togehter in Cluj, in an exhibition hosted by AltArt. Photos from the exhibition can be found on Time's Up's Flickr pages and M-ITI's blog.